Dear world, I’m sorry for my radio silence. It’s been an exciting and overwhelming few weeks over here, including an amazing, spiritual bread-making experience in North Carolina that I’m dying to tell you about. But I got caught in the Delta mess on my way home, then came back to a weekend of love that was showered upon me by the most incredible friends and family a girl could ever ask for, and it’s go time on prep for this wedding thing and for once I decided to cut myself some slack — no guilt this time — and take a break from blogging for a hot minute. 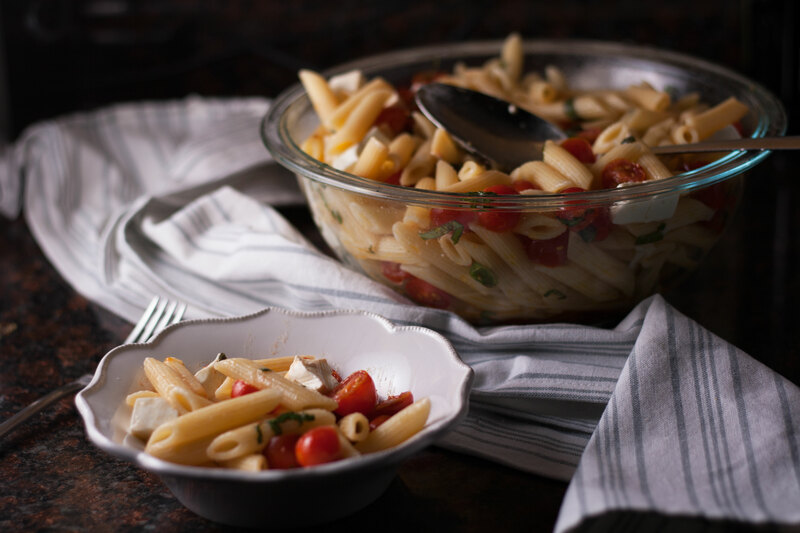 In truth, I had this recipe for caprese pasta salad ready for you before I left for Asheville, intending to have the post up when I got to our Airbnb, but just didn’t get around to it. But this is one of my back-pocket recipes, so simple, so easy to make, and such a perfect way to celebrate a harvest of tomatoes, especially on a hot day, that I can’t wait any longer to share it with you. 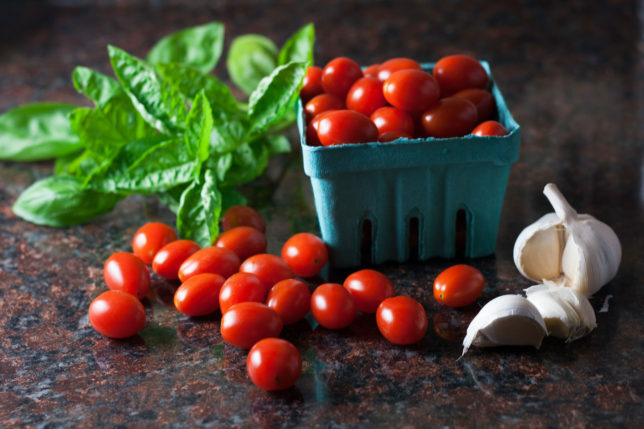 So without further ado, go into your garden and pick a bunch of tomatoes or head to the farmer’s market or farmstand, make a quick sauce without heat — in a bowl — boil some pasta, shred some basil and toss in some bite-sized bits of fresh mozzarella, and enjoy the best damn pasta salad you never knew you were missing. 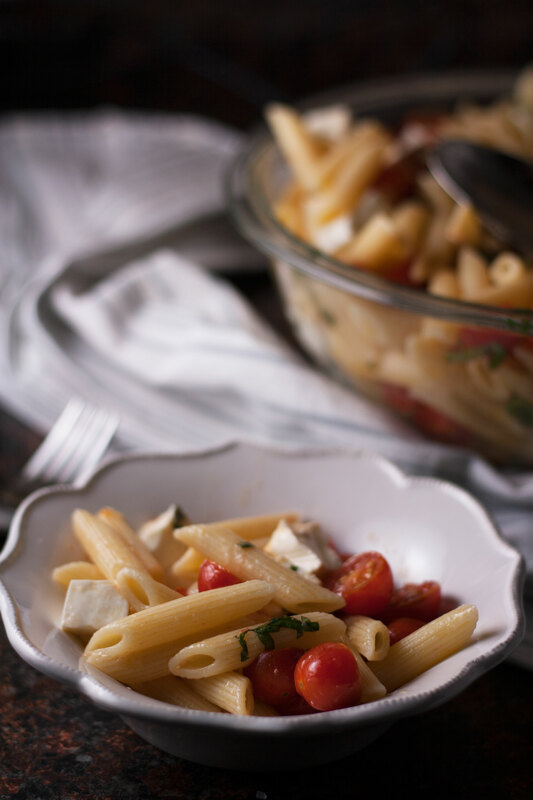 The recipe is straightforward, but a quick note: I find that I usually don’t add all of the pasta. Maybe I would if I had a bigger bowl but I tend to get nervous about overflow and the possibility that there won’t be enough sauce. That said, I use almost all the pasta — probably about 12-14 ounces of it. 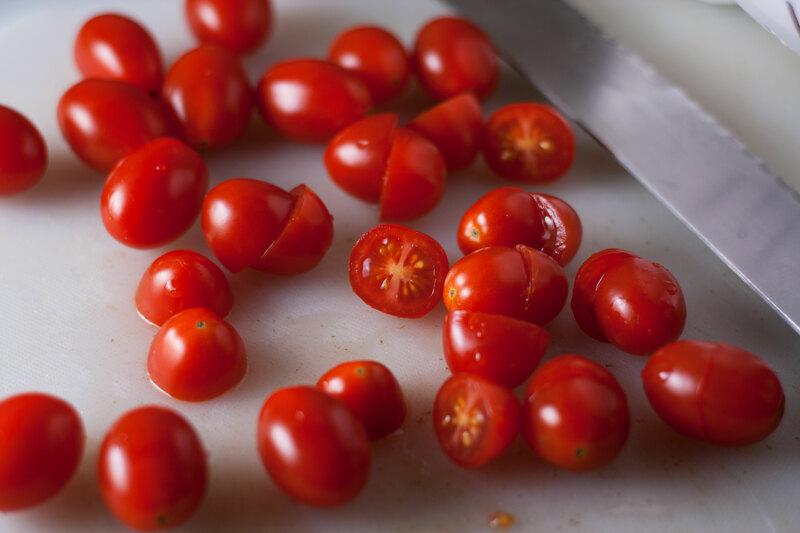 In a large bowl, toss tomatoes, olive oil, sea salt, and crushed red pepper flakes. Whack the garlic with the side of a knife and toss it into the bowl. Let the tomatoes marinate at room temperature, tossing once or twice, for about 30 minutes. Meanwhile, cook penne in a big pot of salted water according to packaged instructions, about 10 to 12 minutes. 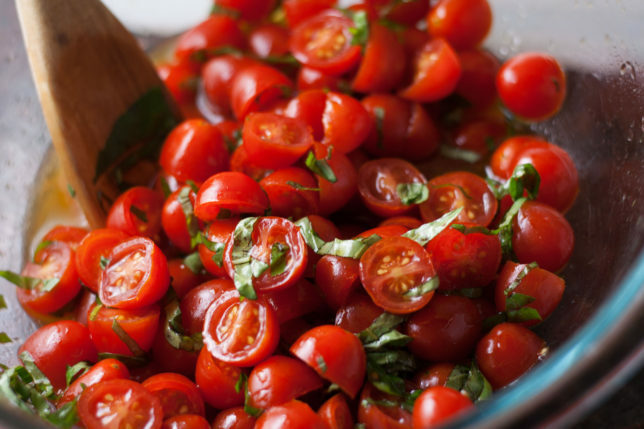 Remove the garlic from the marinated tomatoes and add the basil. Drain the pasta and add it to the bowl, tossing well to mix. Check the seasoning, adding salt and more crushed pepper if necessary. 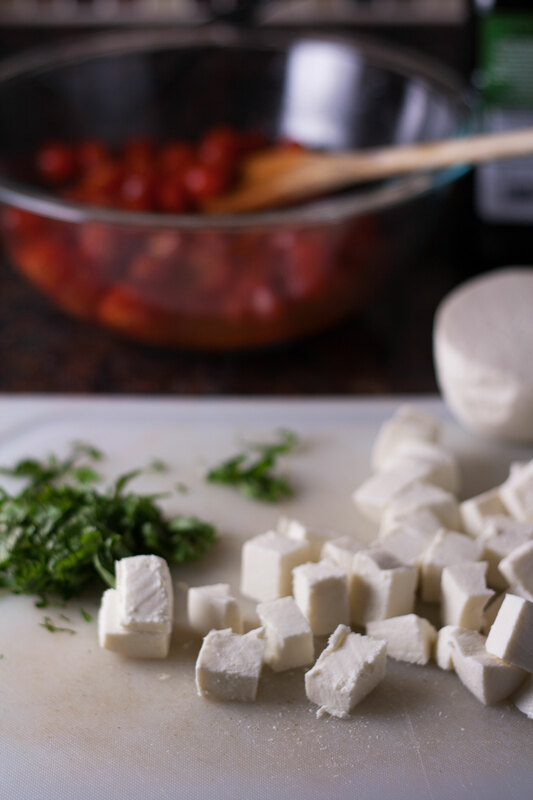 Gently stir in the fresh mozzarella and serve.